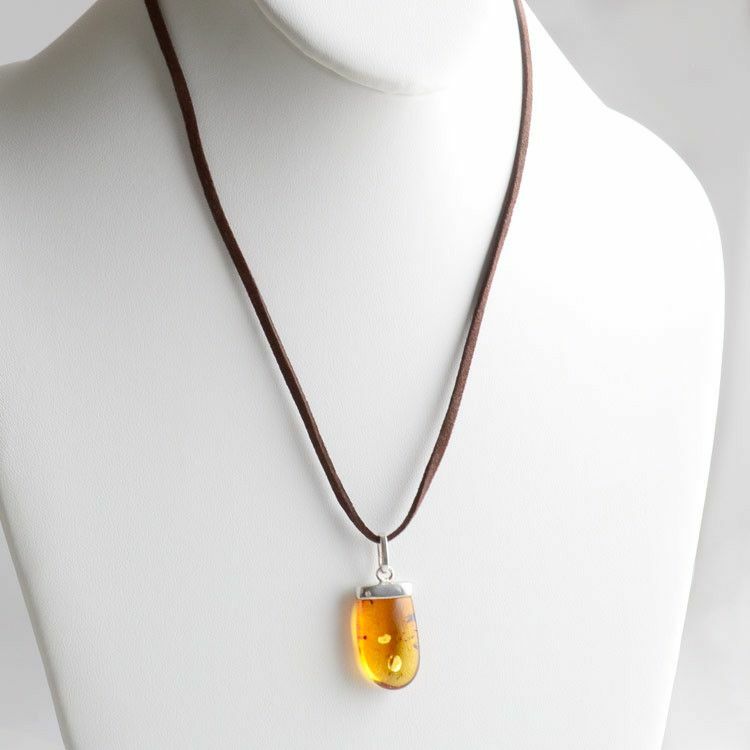 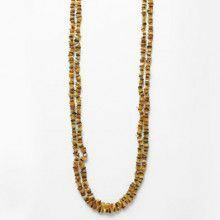 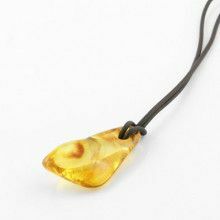 This necklace features an unobstructed view of authentic honey amber. 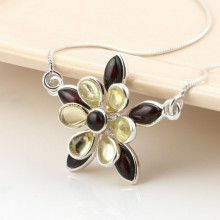 Sterling silver is attached at the top of the stone and also used for a thin bail. 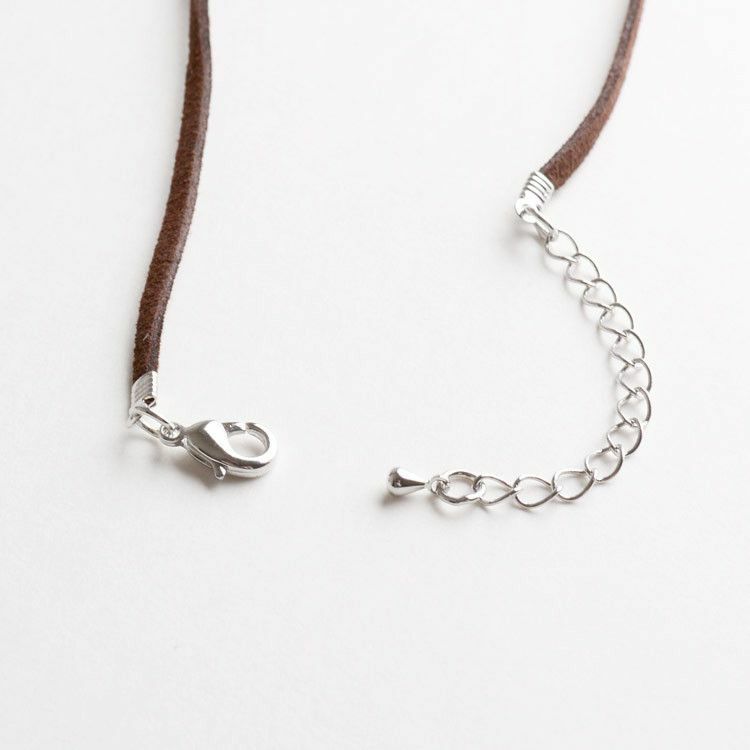 A brown cord made of suede completes this beautifully simple necklace. 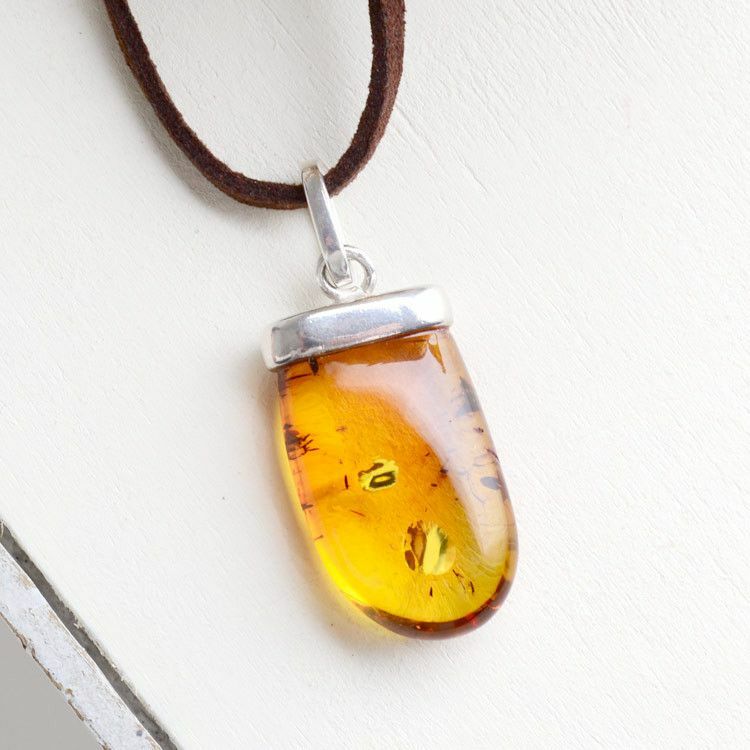 Each piece of our jewelry is hand crafted and each amber stone has its own uniqueness, therefore they might slightly differ from the photograph. 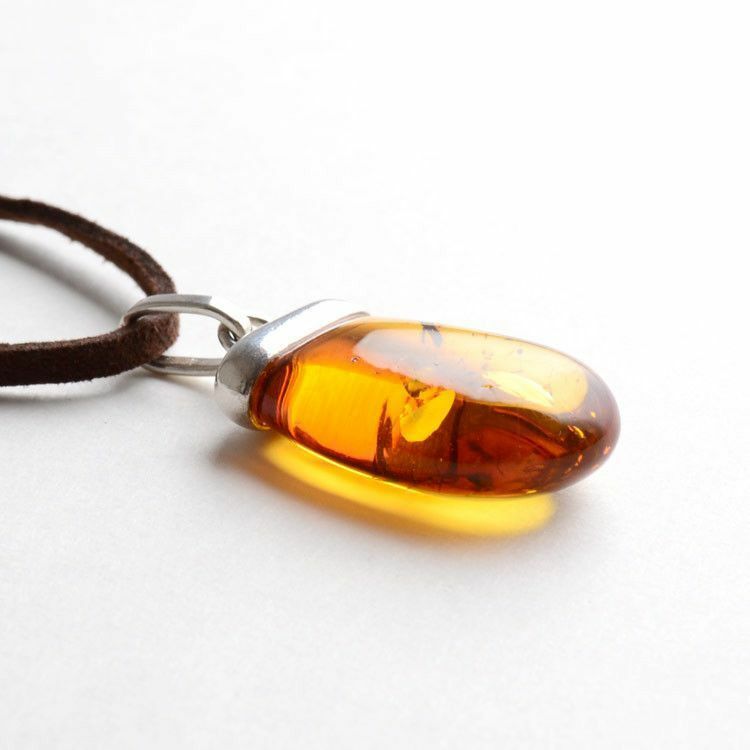 Pendant measures Approximately 1 1/2" x 5/8"